Oct. 15, 2018, marked the third anniversary of the landmark agreement in Ashker v. Governor of California, the class action lawsuit that ended indefinite solitary confinement in California prisons. We have accomplished a lot in that time. Over 1,600 prisoners who were looking at spending the rest of their lives in isolation have been released from Security Housing Units (SHU). Living conditions have improved for many. And prisoners who were prevented from seeking parole because they were isolated in SHUs have some prospect for release. 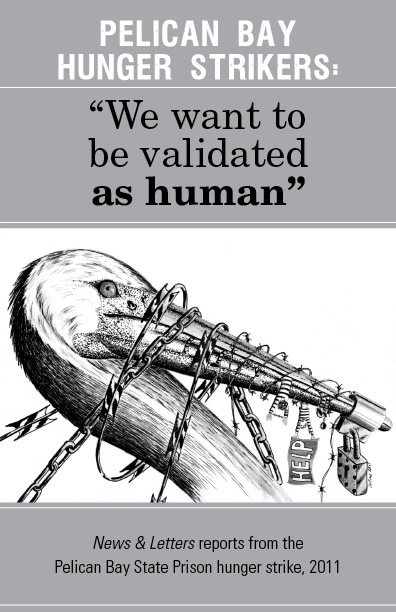 Pelican Bay prisoners speak: “We want to validated as human” Get your copy here. Most importantly, prisoners have honored the historic 2012 “Agreement to End Hostilities,” working to resolve issues peacefully. We have dramatically reduced violence throughout California prisons and been able to harness our collective power to unite against our opponent: a prison system that would rather punish and torture than rehabilitate. Much work remains. While prisoner culture has changed, California Department of Corrections and rehabilitation (CDCr) culture has not. California prisons continue to violate our due process rights and resist systemic change, to obstruct meaningful reforms and attempt to provoke violence by a variety of tactics. Many prisoners released from SHU have been transferred into Level 4 prisons—essentially modified SHUs. Called “general population,” these prisoners often receive as little out-of-cell time as they did in the SHU, are denied jobs, and have little to no vocational and other programming. We need social interaction, outdoor time, programming, work opportunities, and preparation for release. CDCr has done nothing to help us deal with the aftermath of years, and even decades, in solitary confinement. The torture of solitary confinement does not end when the cell doors open. Many of us are still suffering terribly. Some have post-traumatic stress disorder. Damaged by our years in isolation, we need rehabilitation and reparations. To begin to make us whole, CDCr must help us heal. CDCr continues to throw people back in the hole based on confidential information, regardless of whether the informant is credible. It even fabricates information and falsifies documents. We need independent oversight of CDCr’s disciplinary system and individual accountability for CDCr employees who abuse their power. Finally, we must continue to stick together, to honor the “Agreement to End Hostilities,” and to fight our true opponent: CDCr’s abuses. Our accomplishments have come about because of our collective power, which is how we will achieve the goals ahead of us. This entry was posted in Articles and tagged Agreement to End Hostilities, Ashker v. Brown, Ashker v. Governor of California, California Department of Correction and Rehabilitation, CDCR, indefinite solitary confinement, level IV facilities, Pelican Bay hunger strikers, post-traumatic stress syndrome, Security Housing Units, shu. Bookmark the permalink.